How a 99-bed hospital is using wide-angle breast tomosynthesis to knock out breast cancer. Located in a medically underserved and financially challenged county in southeast Oklahoma, McCurtain Memorial Hospital is home to one of the highest rates of breast cancer death in the United States. It’s an alarming statistic that hospital leaders are determined to change for its service area covering 50,000 patient lives. 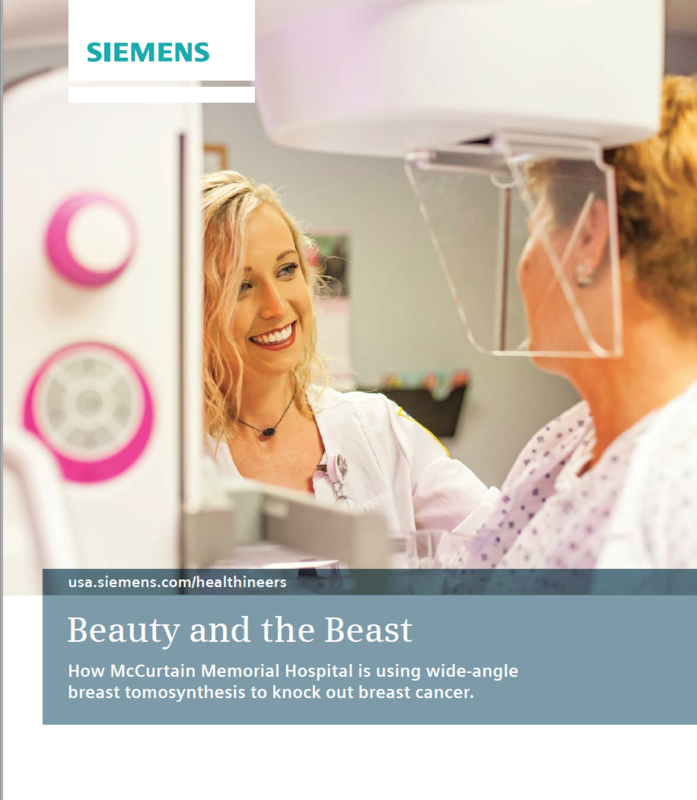 Read the case study to find out what steps MMH took to achieve its goal and how partnering with Siemens Healthineers’ 3D breast tomosynthesis technology made the difference. Fill out the form below to read the full case study.